Hey guys, finally back and settled in Calgary! The summer flew by but we are really pumped to be here for another 2 seasons! With training camp approaching, the hubby is training like a mad man a few times a day and is constantly scouring the cupboards for food. Since I don’t keep any junk food in my pantry (yes I am an awful wife), I always make sure that I have a ton of healthy snacks on hand: protein shakes, fruit, chopped up veggies and home made protein bars and muffins. 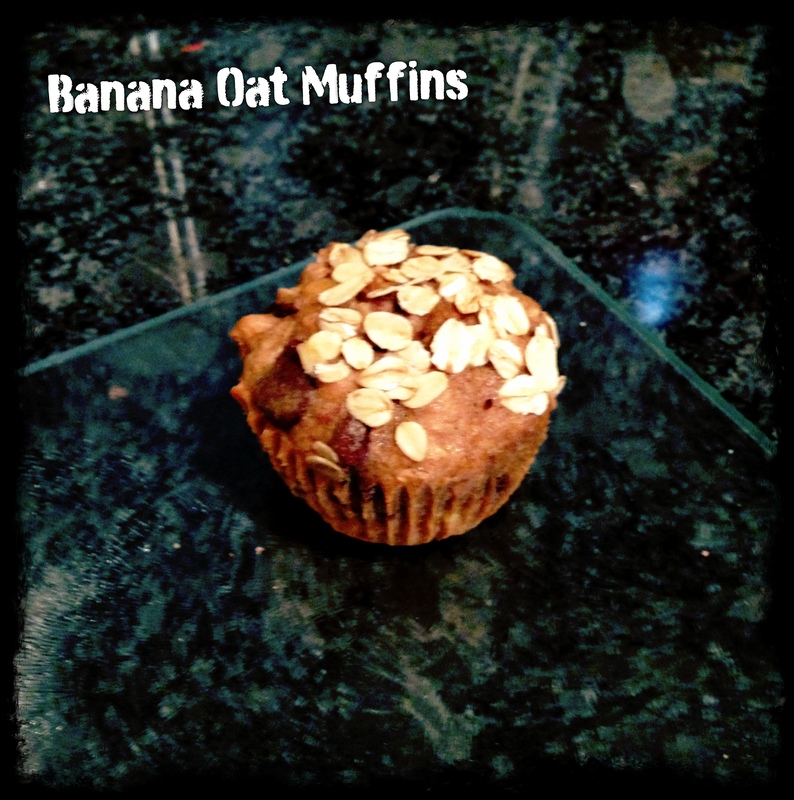 We had our friends over for dinner tonight and these muffins were the perfect treat with our coffee. Also great for breakfast with a shake or a quick snack. Hope you enjoy! Preheat oven to 350°F. Prepare a muffin tin with paper liners and set aside. In a bowl, stir together the spelt flour, oats, cinnamon, baking soda and baking powder. In another bowl, mix the maple syrup/coconut sugar, melted coconut oil (cooled), eggs, banana, almond milk and vanilla. Add the dry ingredients to the wet and stir together until combined. Fold in your choice of addins and divide amongst the 12 muffin cups. 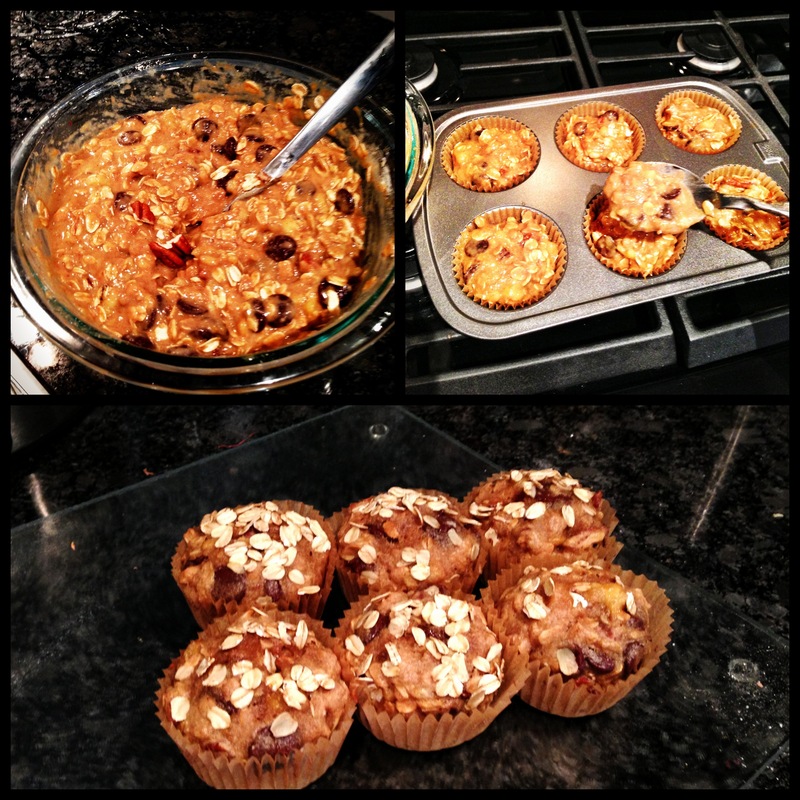 Sprinkle each muffin with a pinch of oats and place in the oven. Bake for 15-17 minutes until a toothpick comes out clean. Cool completely before storing.